Victorian Pool Builders is one of the major pool companies in Melbourne and we are experienced in creating a personalized outdoor living environment. With decades of outdoor living experience, by taking pride in the work produced and making sure every detail is considered in planning to create the best design for your space. While the decision to build a swimming pool is simple, selecting the shape, size and look is a little more challenging. The options available today are literally limitless. Your pool should be an extension of your home with a seamless transition from house to pool incorporating your style and taste. Our team will guide you through the pool design process and create an outdoor living environment that reflects your individuality. Specializing in custom outdoor living spaces and landscape design to enhance your outdoor living environment, with not only inground pools but also water features, outdoor kitchens, decking, landscaping and more. Victorian Pool Builders design solutions are not limited to specific styles but rather evolve from a creative process involving a thorough understanding of the project objectives, site context, characteristics and surrounding architecture and a continual exchange of ideas between the client and project architect. This along with years of successful landscape design and knowledge of how people use and enjoy the outdoor environment invariably results in a unique and lasting landscape for every project. 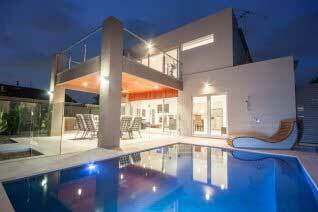 If you have been searching for swimming pool builders in Melbourne, find out how Victorian Pool Builders can help you. Our trained and dedicated team of swimming pool builders are available year-round, and it is our desire to make sure that you get the most out of your custom pool, inground pools or plunge pools. 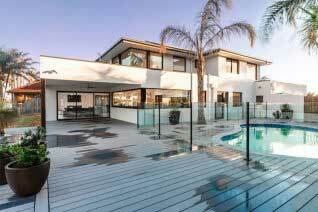 We are concrete pool builders and provide service to specific suburbs of Melbourne. Looking for an estimate? Why wait? Click here now. Plunge pools can be the ultimate decision when it comes to making backyard upgrades. If you have ever dreamed of having one right in your own premises, now may be the best time to start creating a plan and turning your dream into a reality. Inground pools are essentially pools that are built into the ground. These are most commonly constructed from materials such as concrete, fiberglass and natural stone. They can be of a custom size and shape. An infinity pool or a negative edge pool is defined as a reflecting or swimming pool, which allows the water to flows over one or more edges thereby producing a visual effect of water with no limit. These pools are designed in a way that the edge appears to merge with the sky or the larger body of water.